Interior Minister Thomas de Maiziere termed the trend as "unacceptable". 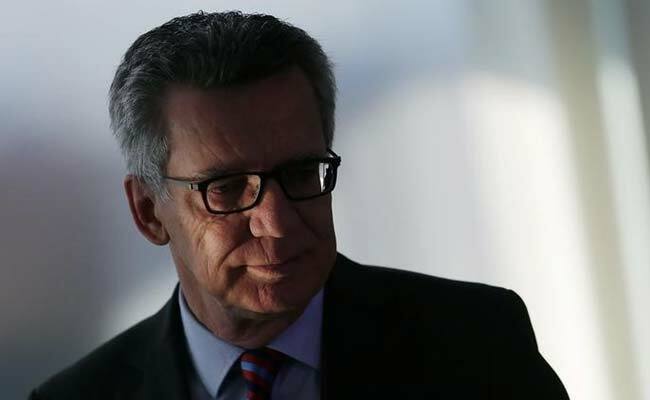 Berlin: Germany recorded a sharp rise in politically motivated crimes by foreigners including terrorists and Kurdish terrorists last year, a trend branded "unacceptable" by Interior Minister Thomas de Maiziere on Monday. Some 3,372 such cases were recorded last year, up 66.5 percent from 2015, according to the latest crime statistics unveiled by de Maiziere. They include "criminal offences carried out in the name of foreign extremists of the so-called ISIS, or the (outlawed Kurdish terrorists) PKK", said the interior minister. Germany was hit by a string of terrorists attacks last year, with the deadliest being last December's assault on a Christmas market in Berlin. A Tunisian suspect had rammed a truck into the crowded market in the attack claimed by the ISIS organisation that killed 12. But beyond terrorists attacks, Germany has also seen a rise in violence pitting its sizeable minority communities of Turks and Kurds, as Turkey was increasingly split over President Recep Tayyip Erdogan's rule. Overall, the number of politically driven crimes was also up in Germany, reaching 41,549 such offences in 2016, 6.6 percent more than a year ago.